IICE is certified institute providing value added services in the field of Information Technology. We have highly qualified & Well-Trained faculties having years of experience. Regular test & online examination are also held by our institute to improve the learning process & skills of the students. Various Information & Motivation Seminars are also organised to update students with latest amendments. 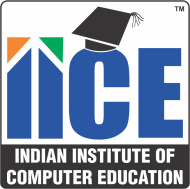 Iice Computer Education conducts classes in .Net Training, Animation & Multimedia and C Language. It is located in Baroda, Vadodara. It takes Regular Classes- at the Institute.